The birth of a new McDonald's product known as the Chicken McNugget meant the death of a lot of chickens. 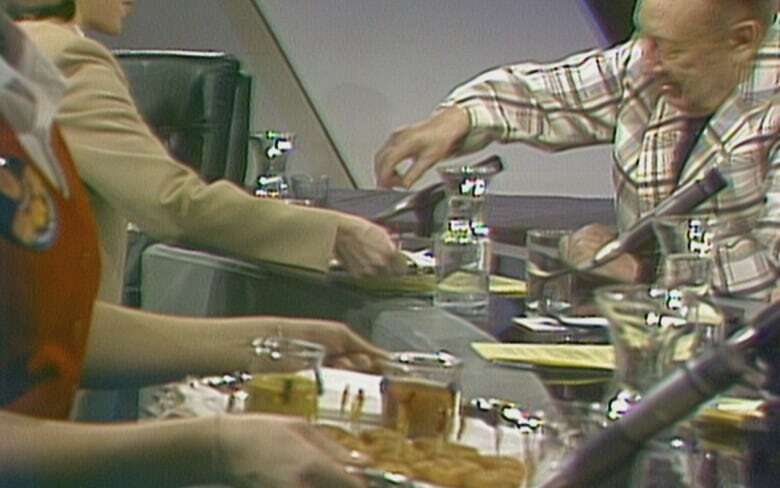 Thirty-five years ago, Rene Arend, the chef who perfected the McNugget was a guest on CBC's Front Page Challenge and he was asked about the impact it was having. His appearance on the program came at a time when it was reported North Americans were spending half their food budget at restaurants. What seemed most difficult for the show's panel to swallow was that a "chef" was at the top of the food chain at the fast-food giant. "I am in the research kitchen in McDonald's," Arend said with a smile. Concern was expressed about the rapid growth of the fast-food industry and how that could impact the desire of young people to learn cooking skills. But Arend said he thought "today the young people are more apt to do something ... than I think myself was when I was that young." "You are the originator of the McNugget, the Chicken McNugget?" he was asked. Yes, he was — but he did not agree with a suggestion that the McNugget had failed to catch on with customers. "I think you are mistaken," Arend said. He said it had been tested "for quite some time" and "the Chicken McNuggets were accepted from the beginning." The Front Page Challenge panellists appeared to dig in with gusto when they were presented with samples of the newest menu offering of the fast-food giant. 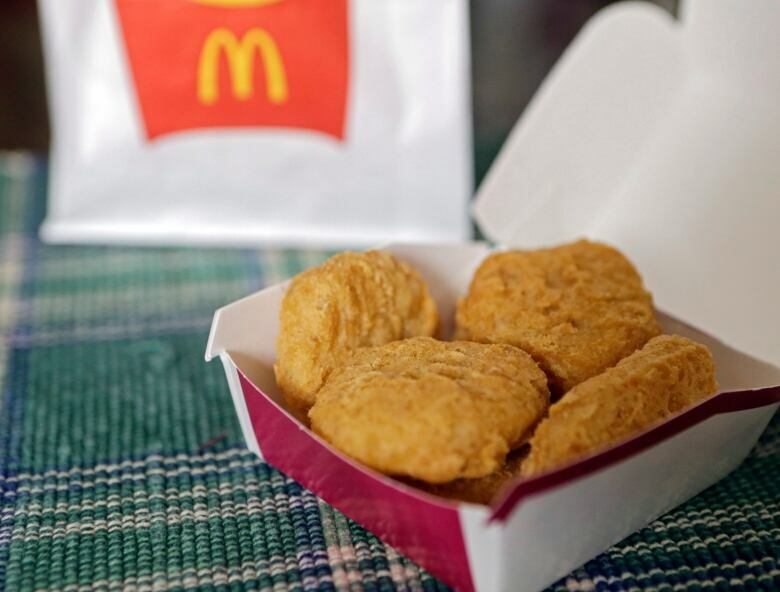 Ubiquitous as it became, in varying forms in other fast-food restaurants and in the freezer section of the grocery store, the McNugget was a hot new product that soared with unanticipated popularity when it was introduced to Canadians in January of that year. CBC-TV's This Week in Ontario had reported that Chicken McNuggets were creating a demand for the main ingredient that could not be met by Ontario poultry farmers. The producers were hampered by the quotas set by their own marketing board, and as the Globe and Mail reported on March 22 of that year, the addition of the McNugget to the McDonald's menu had "created fierce competition for Ontario's chicken supplies." The unanticipated growth in the marketing of poultry, at other fast-food chains as well as McDonald's, required imports from the U.S. 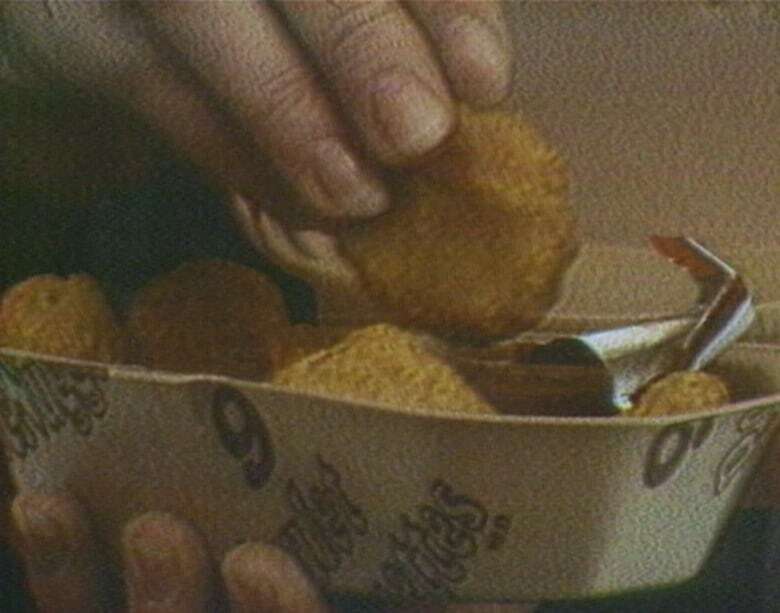 The same Globe and Mail report credited the introduction of McNuggets to the menu as what it took to "turn the tide," and boost the upcoming "national production quota" by 92 million kilograms, thereby meeting a production increase demand the farmers had apparently been making for years.